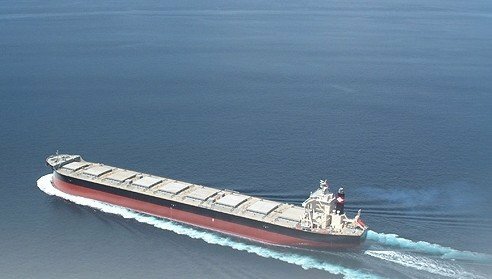 Following hot on the heels of last week’s demise of Global Maritime Investments (GMI), shipping is braced for a potential new casualty in the form of Japanese bulker firm, Daiichi Chuo Kisen Kaisha. Rumours emerged late last week that the line, which has been struggling financially for the past five years, was looking at making an announcement on a possible bankruptcy. Daiichi Chuo remained silent however, and Japan went on national holidays for the first half of this week. An announcement is expected from its Tokyo headquarters soon on its financial plight. Sources across Asia tell Splash that Daiichi Chuo, founded in 1892, has been on the brink for months. Mitsui OSK Lines (MOL), Japan’s biggest shipping company, has been propping up Daiichi Chuo throughout the downturn, becoming its largest shareholder in 2013. Now, however, Splash understands MOL is not willing to throw more money at the line. In June Moody’s warned Tokyo-listed MOL’s ratings could be hit if it provided further support to the ailing line. Nevertheless, some form of rescue package is expected. “Japan Inc will come to Daiichi’s rescue, but many companies linked with the line will be hit by its fall,” one source close to the line told Splash. At the end of July, Daiichi Chuo, which operates capesizes, panamaxes and handies, lowered its full-year forecasts, more than doubling its anticipated net loss to Y13,000m ($108m). Officials at Daiichi Chuo did not reply to Splash questions regarding its financial position.